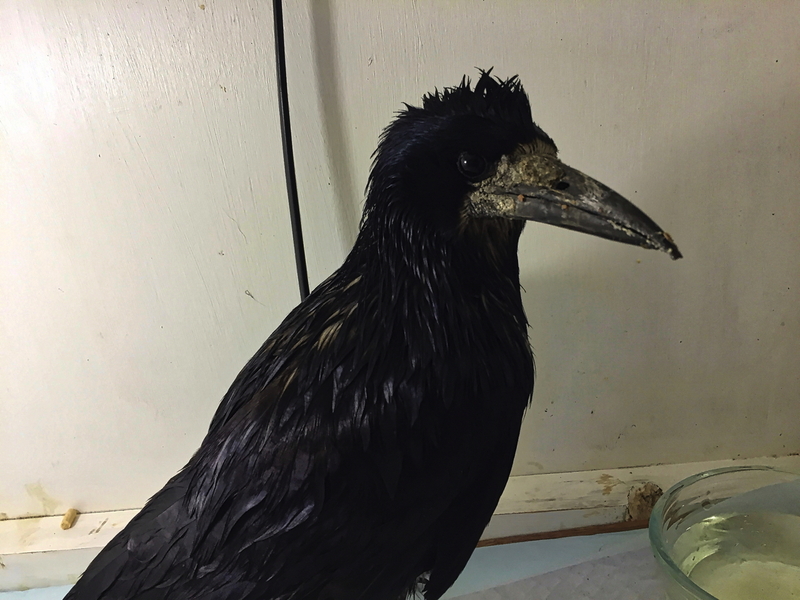 It is with great sadness that we have to announce the loss of our rook Irenaeus. He came to us in June 2017 following a phone call of a kind and concerned person, who spotted Irenaeus during a heavy downpour, when he was trying to find shelter next to a pub. 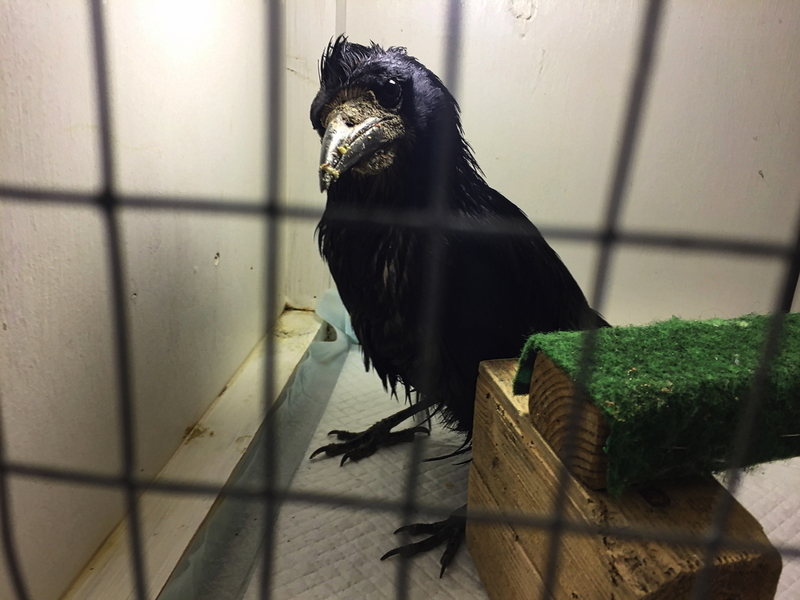 We went to assess the situation and eventually decided to catch Irenaeus, who we found grounded, soaking wet and cold. Apart from being slightly underweight and an increased internal parasite load, Irenaeus did not show any other obvious sign of disease or injury. 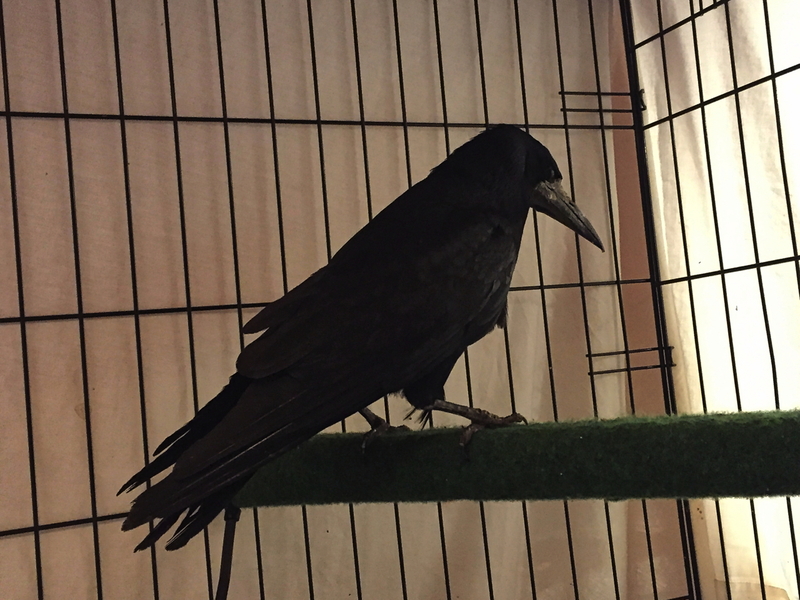 He has been treated accordingly and settled in very quickly into our residential rook community. Over the following weeks it became clear that Irenaeus wouldn’t fly again, at least not for longer distances, despite the lack of any physical or medical reason. Nevertheless, Irenaeus became quickly a well regarded community member amongst our rooks. Interestingly, we also noticed that in particular young birds enjoyed Irenaeus’ proximity, possibly being attracted by his very calm and relaxed attitude towards other, but in particular young birds. Over the last days of his life Irenaeus became a little quieter than usual, but still enjoyed his food and company very much. Sadly, last night Ireneaus passed away peacefully in his sleep. We don’t know how old Ireaneus was, but we think that he must have been quite old already. 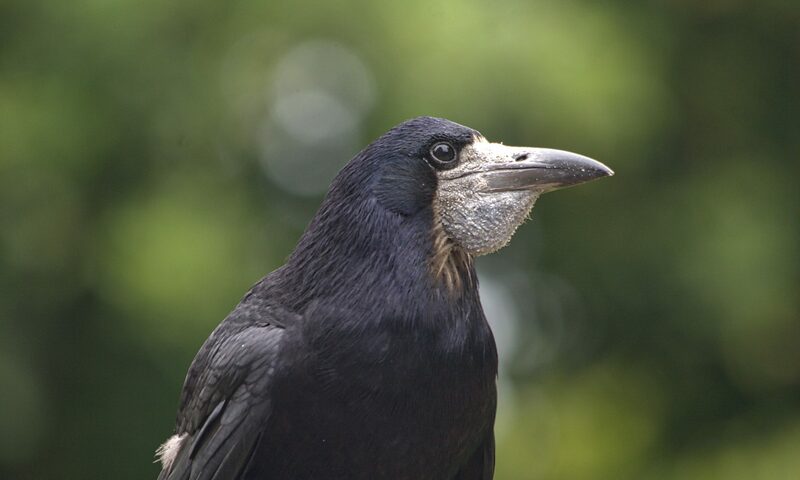 We are relieved that he was able to spend the last months of his life in peace and comfort enjoying in particular the close friendship to our residential rook Anthea. Irenaeus, you will be greatly missed. Rest in peace!